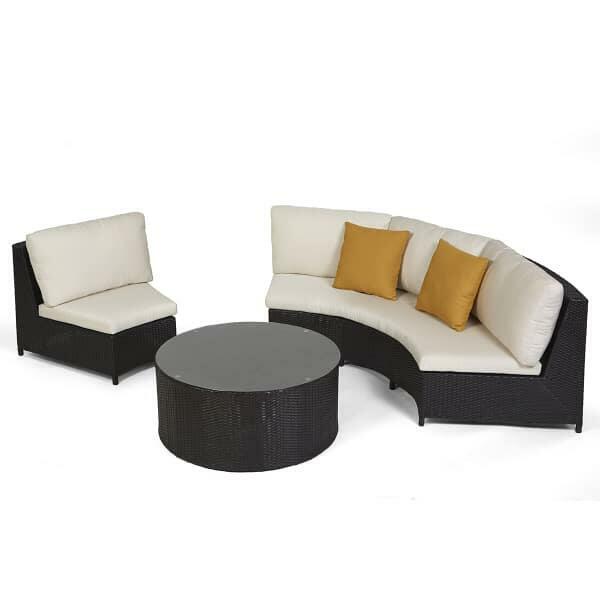 The Cosmic Deep Seating set includes a double armless sofa piece and a single armless chair piece. The pieces may be connected, as in the photograph above, to create a larger curved sectional couch, or they may stand on their own as a loveseat and armless chair. Each piece of Cosmic furniture follows the same general construction. 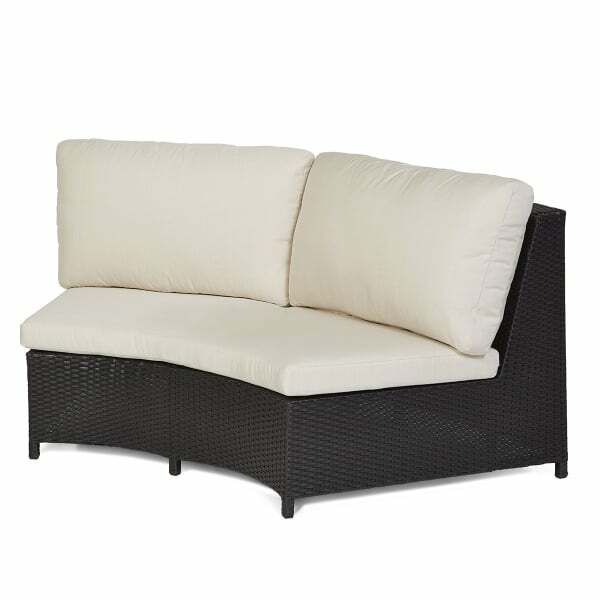 The seats are built with a firm base of extruded aluminum, which provides support and rigidity. 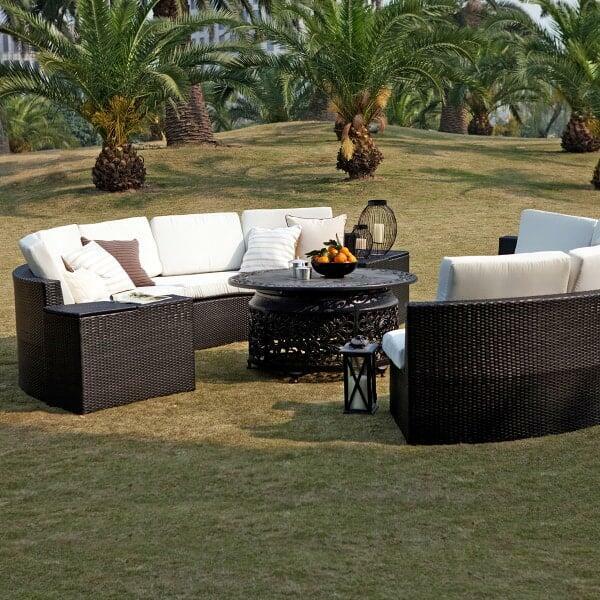 The aluminum frame is completely covered in hand woven polyethylene wicker. 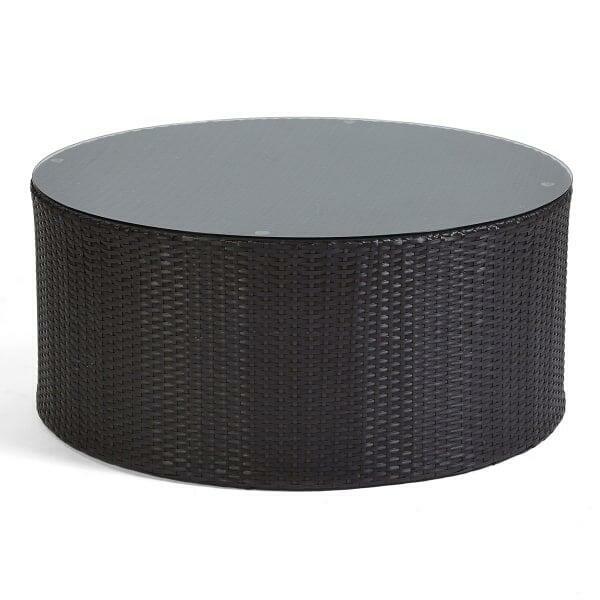 Unlike traditional wicker, the polyethylene is a sustainable all-weather wicker that is insensitive to UV rays, temperature fluctuations and harsh weather exposure. The chairs are covered with plush all-weather cushions protected by customizable Sunbrella fabrics, and the coffee table is topped with durable 5mm tempered glass. Mix and match the different seating modules and surfaces to create a robust deep seating entertainment setting for you and yours! Featured Set Includes: 10 Single Armless Chairs, 2 End Table Wedges, and Coffee Table.